MUZAFFARPUR GRAMIN VIKAS NIDHI LIMITED. 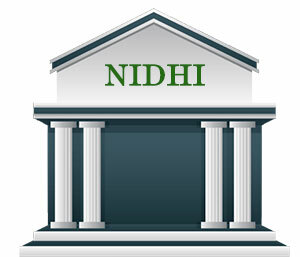 is a Nidhi company Personal Banking Services. Recurring Deposit is a special kind of Term Deposit offered by Bank Demo. Welcome to MUZAFFARPUR GRAMIN VIKAS NIDHI LIMITED. MGVNL being a company registered under the Companies Act 2013, it automatically comes under the supervision of the MCA. Main objective is to encourage and afford all facilities for cultivating thrift ,saving habits and to render all financial assistance to its member only by receiving long and short term deposits and in particular recurring ,fixed and other deposits, not being current accounts from the members as are allowed by law for Nidhi 01 Mutual Benefits Companies, and to grant loans to the members only as against securities of immovable properties (within City) and or on the security of deposits, movable such as gold, silver, jewellery, Kisan Vikas Patra, National Saving Certificates Scheme, insurance policies and other Government securities up on such terms and condition as may from time to time prescribed in law for Nidhi or Mutual Benefits Companies.